My 50th Needle Felting Blog Post . 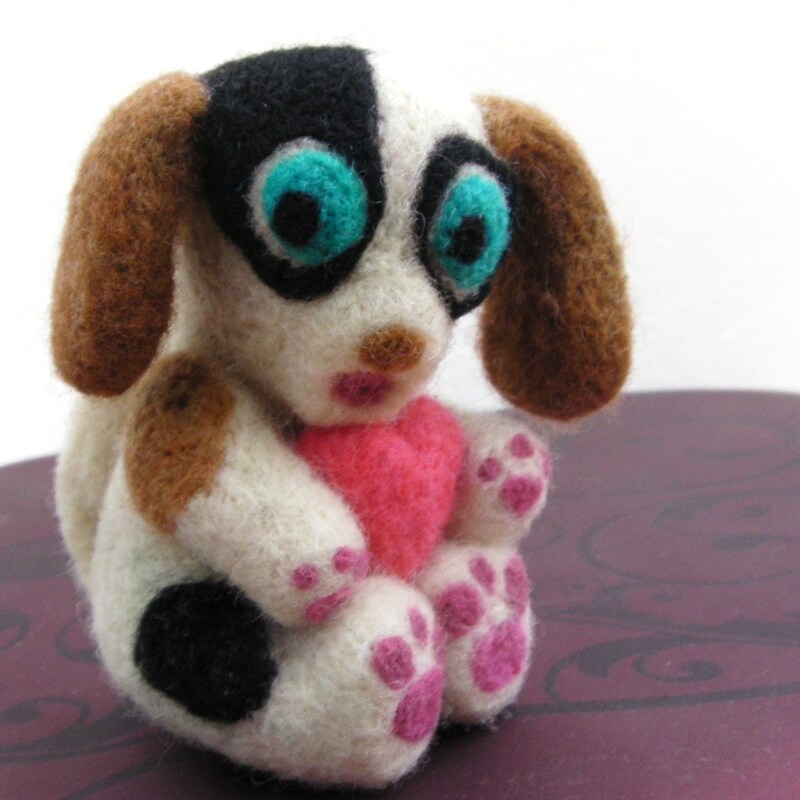 . .
Today I’m posting my 50th blog post, all about needle felting. 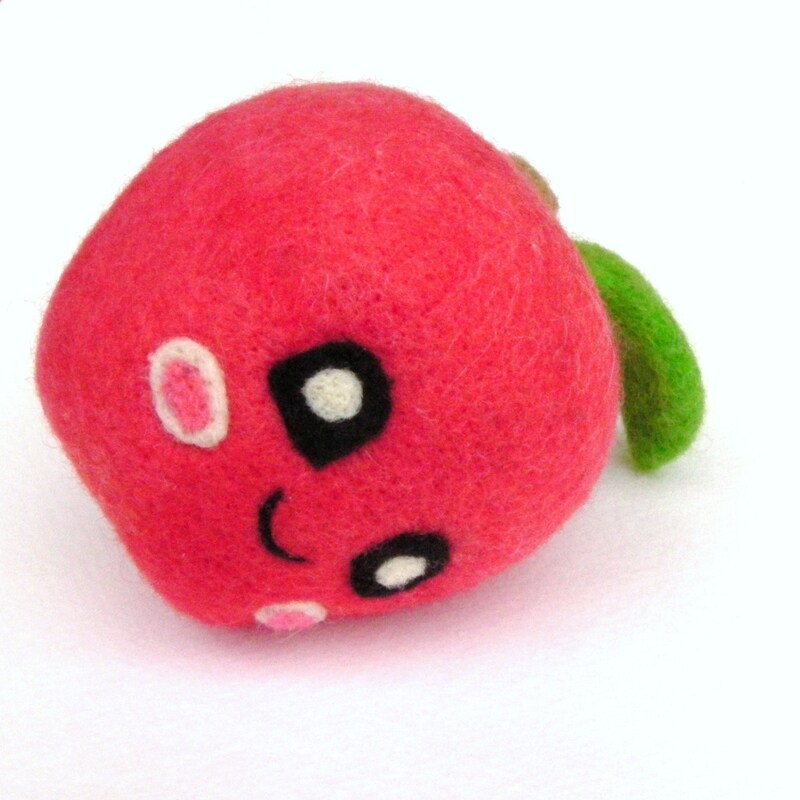 To commemorate the occasion I am sharing a bright red and super happy felted apple. 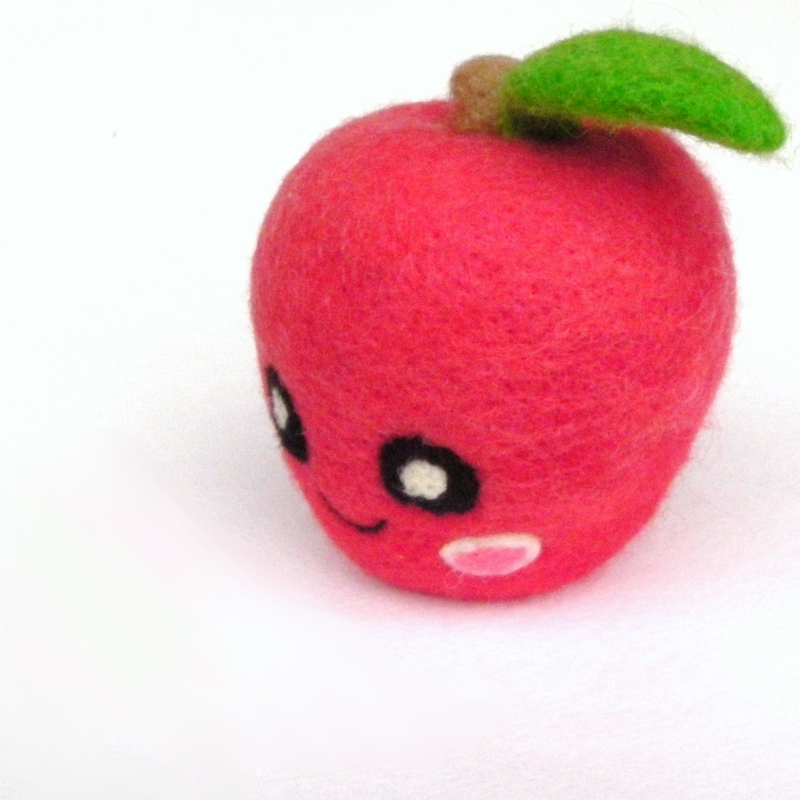 I have never felted fruit before, but this felt apple is so adorable. I think I might start a whole line of play food after this! I was so happy when it accidentally turned out the perfect “real” apple size. I immediately imagined a happy child playing kitchen and then I thought about it as a pleasant gift for a teacher! This apple will never rot. . .
Usually I make felted animals and I’m happy that on my 50th post that I could share something different than normal. I suppose that this blog might actually be inspiring me artistically. I hope it is doing the same for you! In honor of my 50th I’m going to reintroduce myself and my interests to you. I have five beautiful children. And although my artistic interests started with painting, I have found that oil painting and managing children is a hard combination. As a result, I started being “artsy” in ways that were safe to be around my children and things that could benefit them. I started with knitting and knitted everyone in my house blankets, mittens, and hats. It took so much time to knit and the finished products were simply not that fun. Then I progressed to amigurumi style crocheting and while it was fun and cute and playful, it still took tons of time and my fingers simply ached! While researching my crocheting, I came across the idea of felting finished amigurumis to make them look soft, as long as they were crocheted with pure wool this cute fuzzy look could be achieved. After a little more searching, I came across needle felting, there was no need to knit or crochet first and I could still make cute “amigurumi style” toys without all the finger aching. Yes, I know that “amigurumi” is just a style of crochet, but I am referring to the cuteness that amigurumi crafters give to their toys. And needle felting was the best of both worlds! 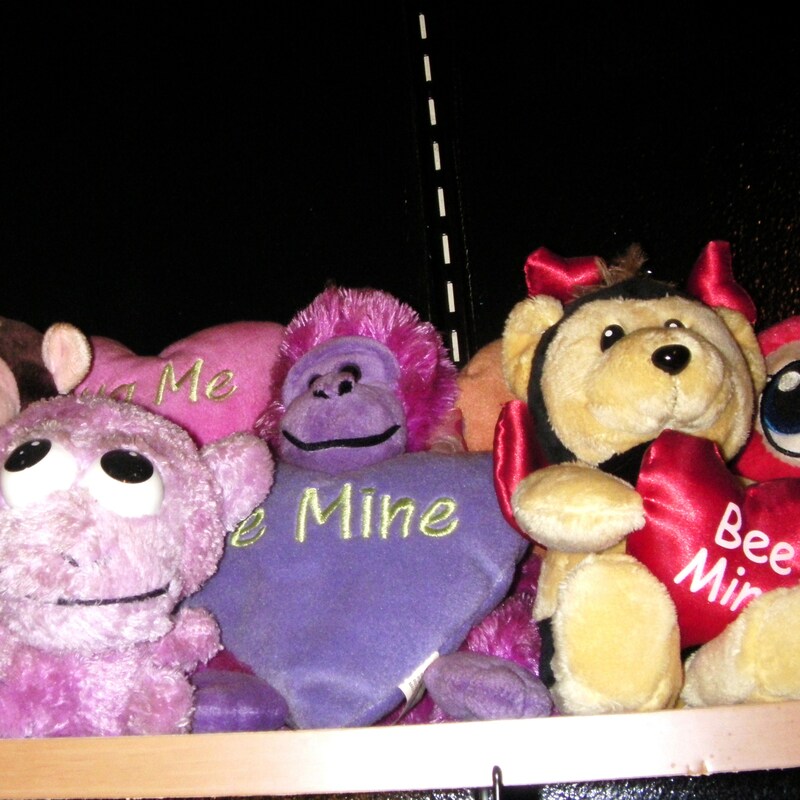 Now I can vent my artistic side comfortably and can make adorable toys for my children. They get to grow up seeing their mother make something with her own two hands and that is a very important thing to me! Not to mention how fun it is. 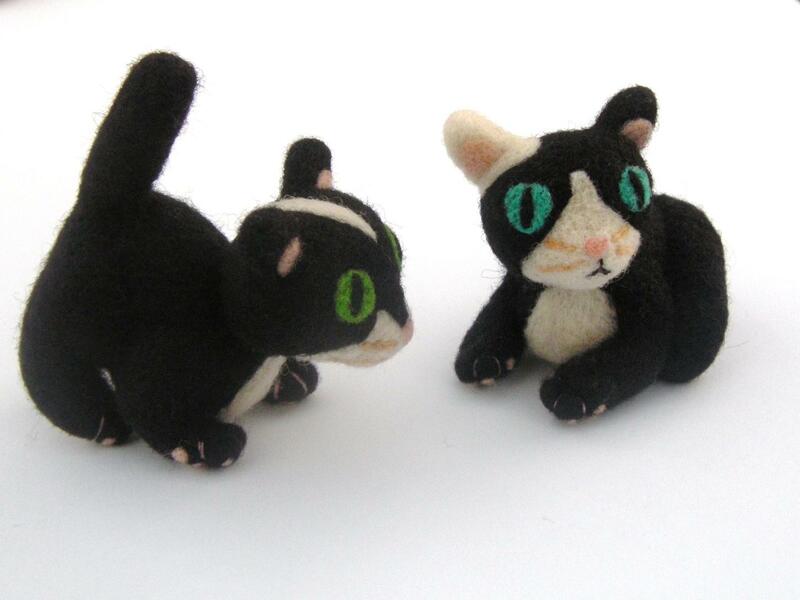 If you have never needle felted before, please browse my site and the rest of the internet world. If you are crafty at all, I’m sure you will be hooked! It has been one week since I told everyone about my Etsy shop opening and today I’m sharing my first sell with you! My mother-in-law sold a handful of my other goodies at a craft fair last fall, but this is “my” first honest-to-goodness sell. 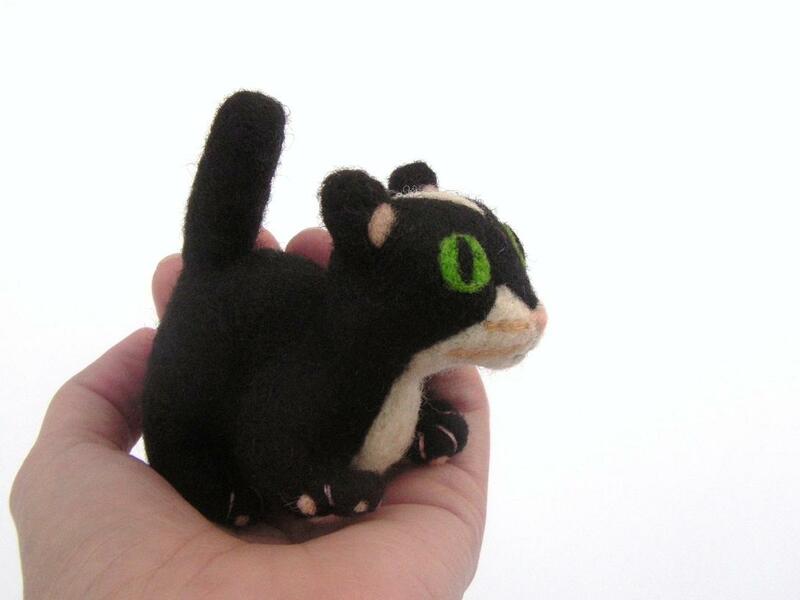 It feels really good to finally send off one of my felted toys to a new home. So this morning, after the routine shower and robe, I retrieved my clear bucket of felt toys from the closet, located the long neck blue dinosaur and unwrapped him from his protective covering. It was time to rewrap him in a more decorative way and send him a fond farewell. Today he will begin his trip to Caroline’s. Here he is all wrapped up! 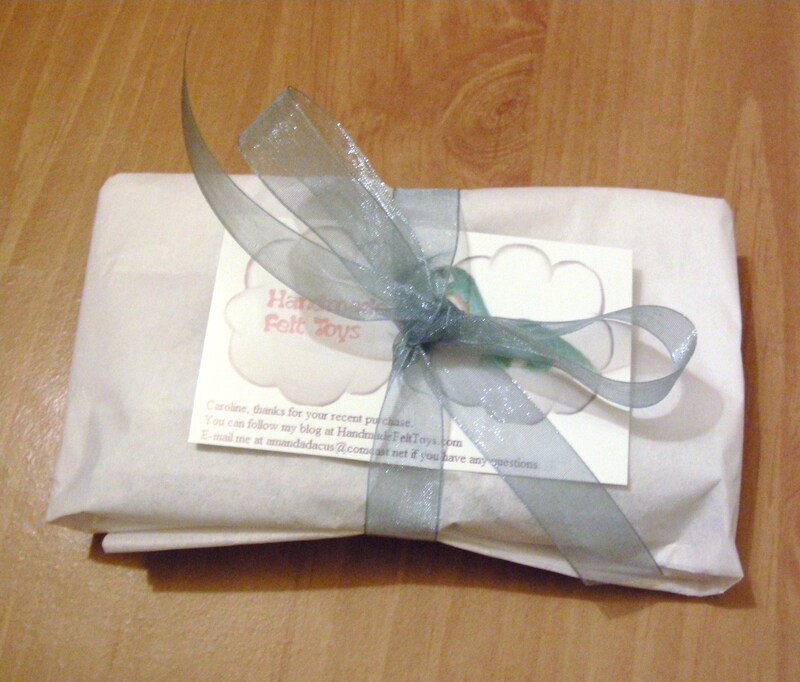 Thank you, Caroline, for ordering one of my felt toys. 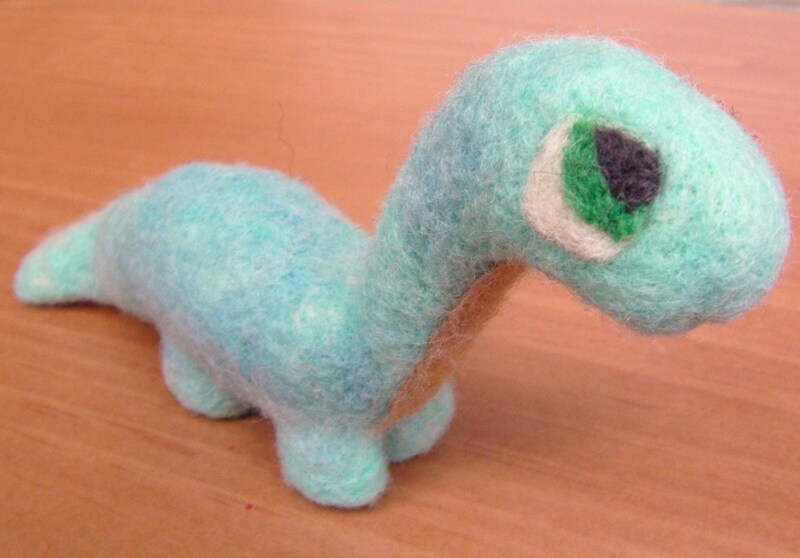 This felted dinosaur was inspired by my eldest daughter. When she was a little girl, she just loved the movie “Land Before Time” and that animated film made her fall in love with everything dinosaur! At eleven, she is currently constructing her own encyclopedia book of her favorite dinosaurs. It includes drawings of each beloved dinosaur with humans next to it for size comparison as well as neat facts. 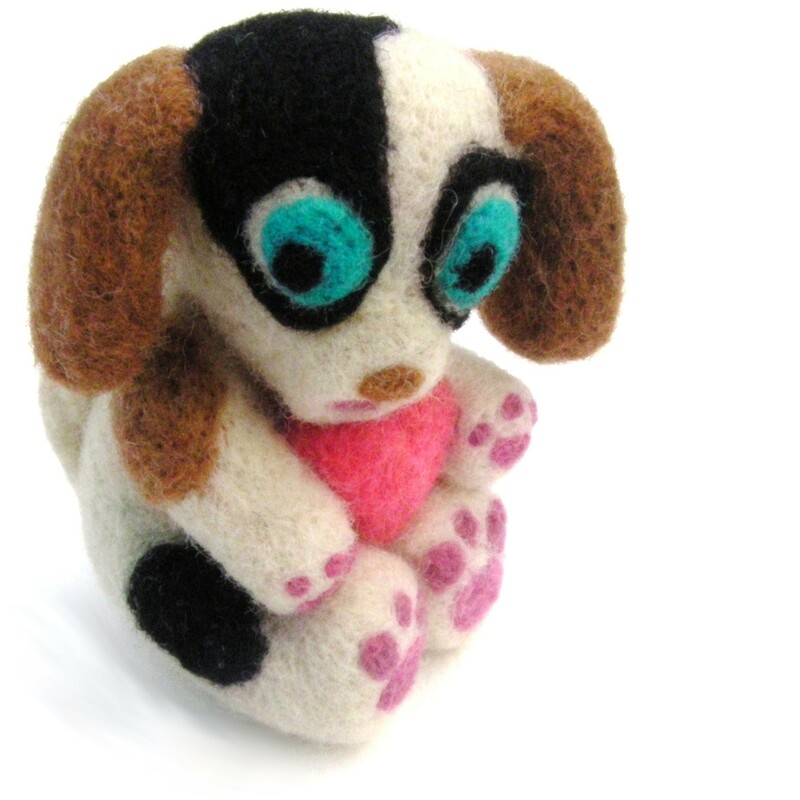 Because every one of my felted toys is a unique original creation by, well me, almost all of them have some kind of sentiment or emotion fueling their design. As a result, each send off will be somewhat bitter sweet, but mostly sweet. I hope you enjoy your new long neck, Caroline!